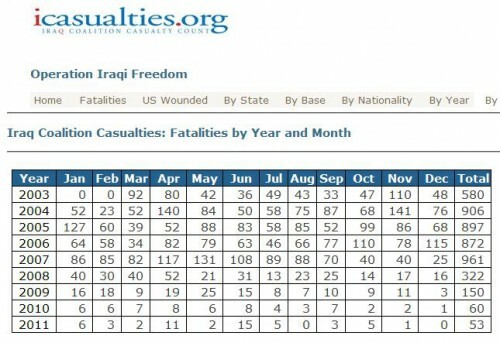 Thanks to the successful Bush Surge in 2007-2008, that Obama and democrats opposed, the number of US fatalities in Iraq has gone from over 100 a month down to a handful or less a month. In October 5 heroes were killed while serving their country in Iraq. In September 3 heroes were killed while serving their country in Iraq. Currently, 45,000 U.S. troops are stationed in Iraq. Last month there were 2,000?… 3,000?… Possibly 5,000 far left protesters setting up Occupy squatter camps in city parks across the country. 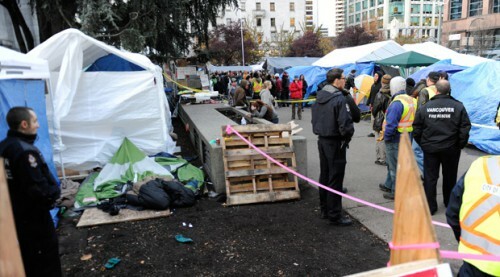 In the 10 days at least 4 of these protesters were found dead in pup tents. From these figures we can confirm that your odds of surviving a tour in Iraq is now greater than the odds of you surviving a night in a pup tent at an Occupy protest.